Grow Land built this project in just 2 days, working more than 12 hours on the first day…whew! As with most of our special projects, we waived the magic calendar wand to make this work, even working into the evening. 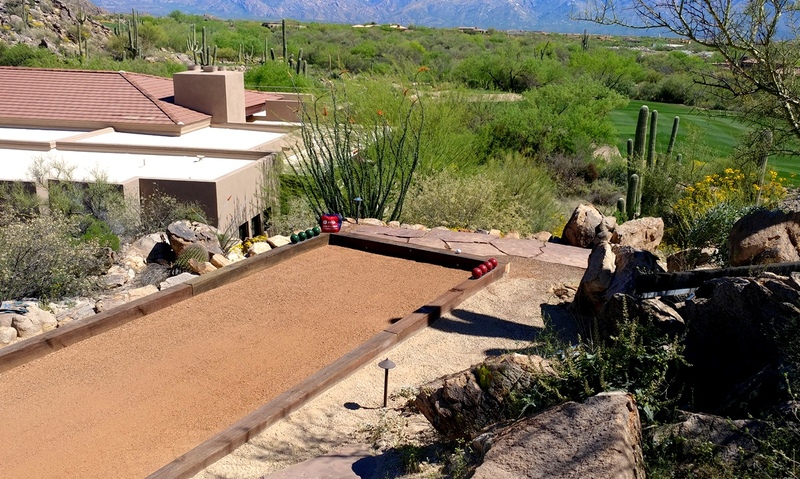 This is a multi-purpose bocce court, with a harder, compacted granite landscape rock playing surface. This court plays a little faster than our premium oyster shell blend, but allows for other uses, like dinner parties with long tables and lots of friends. In-between the outdoor dinner parties overlooking the golf course, this bocce court amenity includes a breathtaking mountain lounge area at the top, combined with an active sport area for winding down. As with every project, we provided our “like it was my house” service, and the clients are totally excited to RELAX AND BOCCE ON!